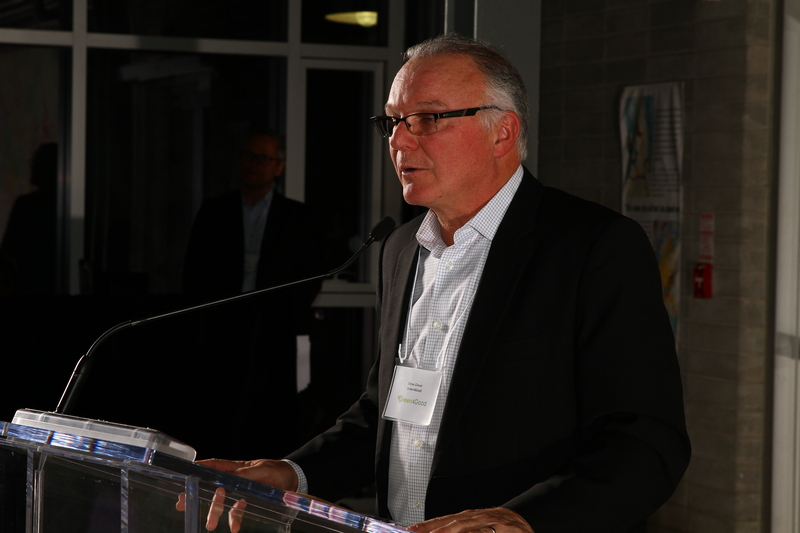 RICHMOND HILL, ON-—7 January 2015—Compugen Finance is pleased to announce the recipients of the 2014 Green4Good Partner Awards on Thursday evening, December 11 at Evergreen Brickworks, Don Valley, Toronto. The awards were given at a celebration honouring cumulative donations of $1M to charities through Green4Good. Many of the donor and recipient organizations were represented among the attendees. Green4Good, a program that turns end-of-first-life™ IT assets into cash for charities, began in 2009 and is now entering its sixth year of operations. Corporate awards, given for commitment to IT asset reuse through participation in the program, were presented by Steve Byrne, Green4Good Program Director. Additional Corporate awards are being presented separately to Empire Life, CNRL, CGI, RSA, and Aeroplan. • Heroes: Ellen Campbell, CEO and Founder, Canadian Centre for Abuse Awareness; • Visionary: Claudette McGowan, VP, Digital Workspace Services, Bank of Montreal; • Pioneer: Stewart Banks, AVP, Workspace Service Delivery, TD Bank. Harry Zarek, President and CEO of Compugen, welcomed guests, and Geoff Cape, Founder and CEO, Evergreen, offered greetings on behalf of Evergreen, a program participant and provider of the venue. The evening’s Keynote Speaker was Rachel Guthrie, Director, Corporate Responsibility and Strategy, TD Bank. Green4Good has received numerous recognitions over the years and was this past November honoured with the Toronto Region Board of Trade’s 2014 Business Excellence Award for Sustainability.